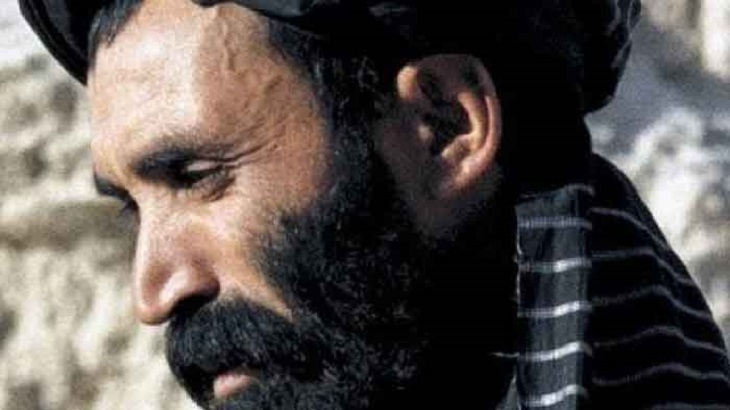 Taliban founder Mullah Omar lived within walking distance of US bases in Afghanistan for years, according to a new book that suggests embarrassing failures of American intelligence. "Searching for an Enemy", by Dutch journalist Bette Dam, says the Taliban chief lived as a virtual hermit, refusing visits from his family and filling notebooks with jottings in an imaginary language. Dam spent more than five years researching the book and interviewed Jabbar Omari, Omar's bodyguard who hid and protected him after the Taliban regime was overthrown. A second time, US troops even searched the house but did not uncover the concealed entrance to his secret room. He later moved to a second building but soon afterwards the Pentagon constructed Forward Operating Base Wolverine -- home to 1,000 US troops, and where American and British special forces were sometimes based -- close by. He dared not move again, Dam says, rarely even going outside and often hiding in tunnels when US planes flew over. Though he listened to the BBC's evening Pashto-language news broadcasts, even when he learned about the death of al-Qaeda supremo Osama Bin Laden Omar rarely commented on the outside world, the book says. The book goes on to claim that Omar became ill in 2013, did not see a doctor and refused to travel to Pakistan for treatment, later dying in Zabul. The allegations sparked mixed reactions, with the Afghan government quick to deny the claims. "We strongly reject this delusional claim and we see it as an effort to create and build an identify for the Taliban and their foreign backers," tweeted Haroon Chakhansuri -- a spokesman for the Afghan presidency. "We have sufficient evidence which shows he lived and died in Pakistan. Period!" Former CIA director and US military commander in Afghanistan David Petraeus also appeared sceptical, saying the Taliban leader's alleged decision to stay in Afghanistan would have been laden with risk. "We had access, as needed, to anywhere inside Afghanistan, and I would be very surprised if Mullah Omar would have taken the risk that we could come calling some evening," said Petraeus according to the Wall Street Journal. "I have piles & piles of evidence which shows he lived & died in Pakistan," added Amrullah Saleh, who was head of Afghan intelligence from 2004-2010. Afghan officials have repeatedly accused Pakistan of harbouring Taliban insurgents. Omar's Taliban ruled Afghanistan from 1996 until 2001, and has waged an insurgency since then. Dam's book says Omar delegated effective Taliban leadership after 2001 and appears to have acted as more of a spiritual leader after that. The militants kept his death secret for two years. The latest account of Omar's life comes as the Taliban and US are holding ongoing peace talks aimed at bringing an end to the nearly 18-year conflict. The US and Taliban have remained tight-lipped about the most recent round of talks in Doha, which have been ongoing for two weeks, sparking expectations that they may be inching closer to a deal.